Blush and Bronzer sticks are the new beauty trend and literally every single brand is coming up with their versions of multiuse Balm sticks (lips & cheeks). Honestly I like the idea of multi-use products. Especially, matte eye shadows that can substitute a liner, blush for cheeks and lips etc. 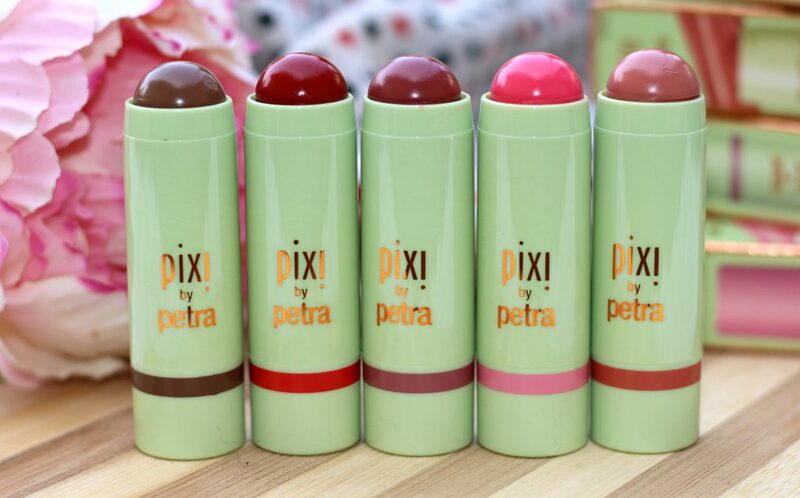 In today’s post, I am featuring the multiuse, stay-on crème-powder formula from #PixiBeauty that awakens by adding a quick touch of colour to the face. Infused with aloe vera, shea butter, and rose hip oil to protect. 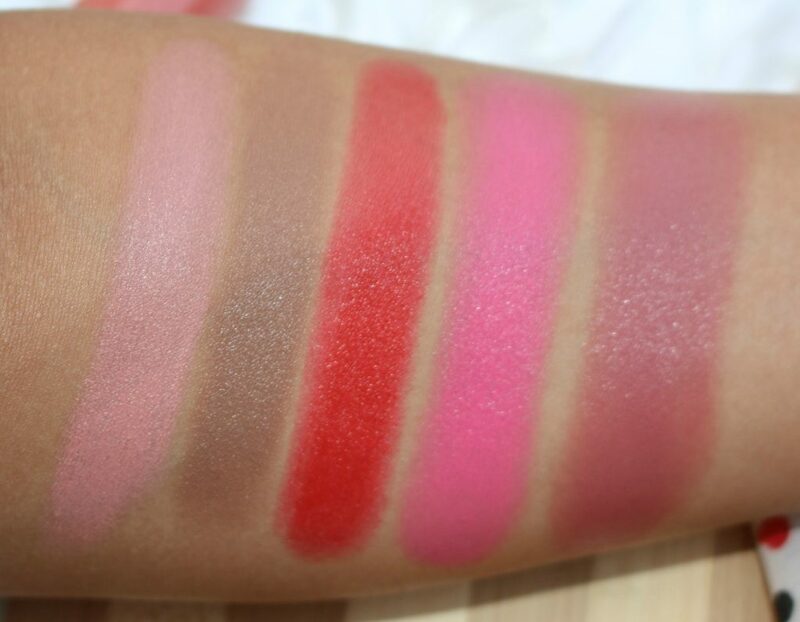 Try one shade on cheeks & lips to look pulled-together instantly! There are 5 shades in this range. 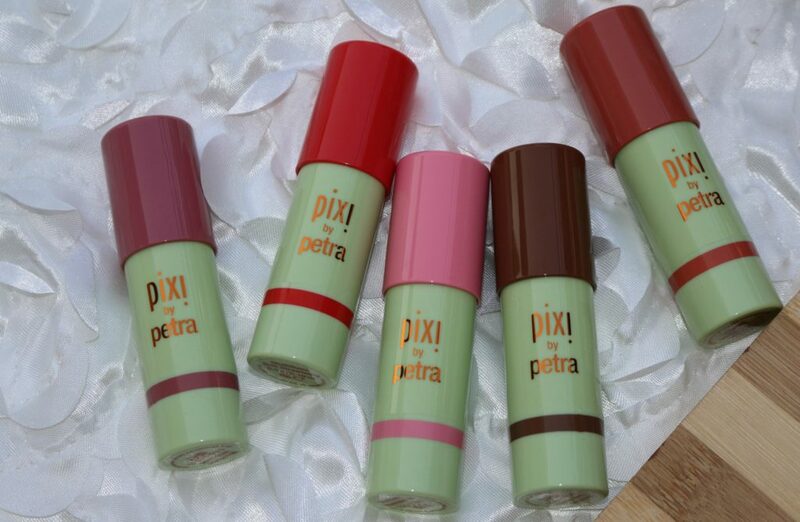 Pixi Multibalm comes in 5 shades: Baby Petal,Sheer Sculpt, Soft Strawberry, Watermelon Veil and Wild Rose. Priced at USD $12.00 each. 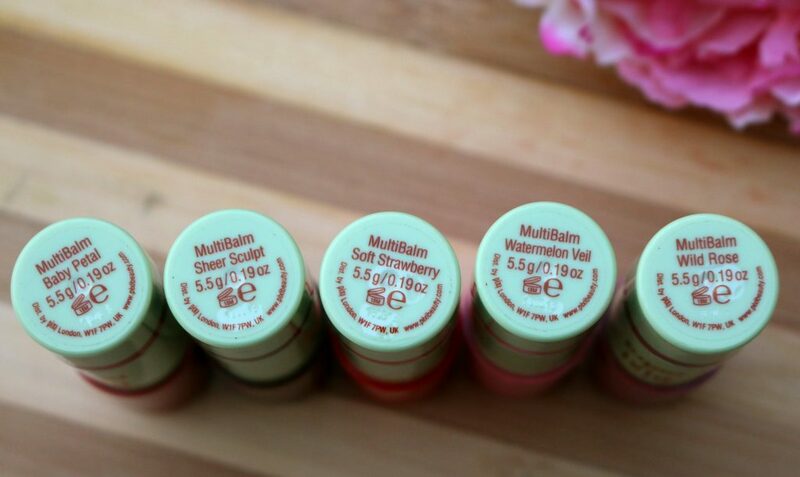 I love applying these directly to the face/ lips using my fingers, a a sponge or a stippling brush. 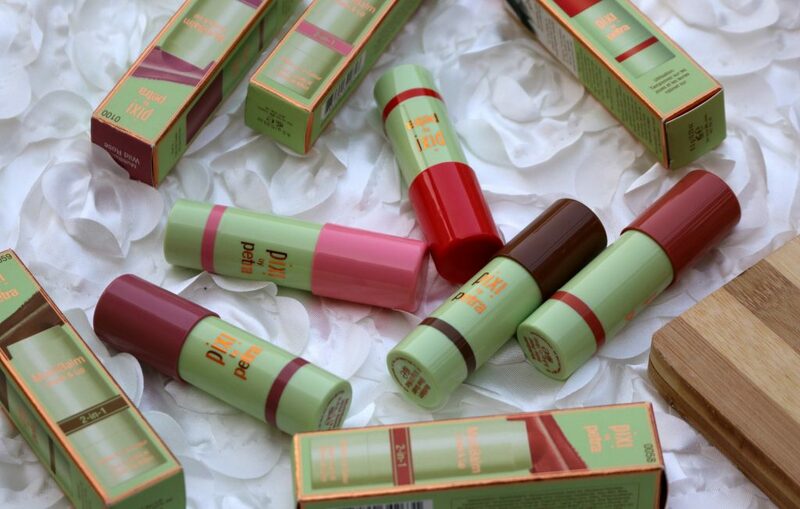 Packaging – The cute twist up sticks are really cute and the cap of each stick shows the exact color of it. I love how cute they look. 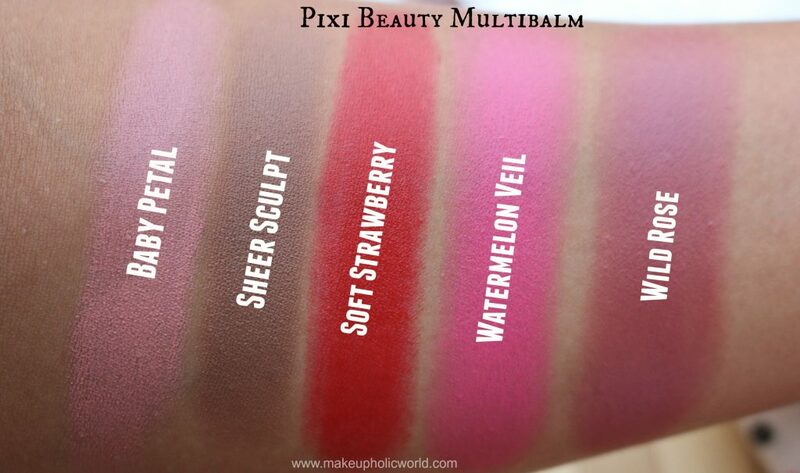 I really like the idea of multi tasking product – These ones can be used on lips and cheek. 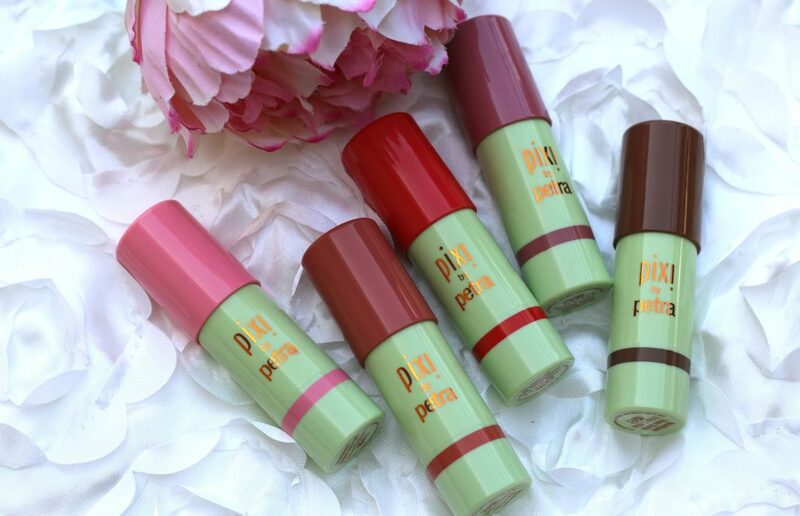 These are formulated with aloe vera, rose hip oil, and shea butter and these ultra hydrating balms can be used for that pop of color. Application – To use, simply glide and dab onto cheeks and tap onto lips.. Contour with the defining shade Sheer Sculpt. I personally like to use my fingers to take the product and then dab on my cheeks. 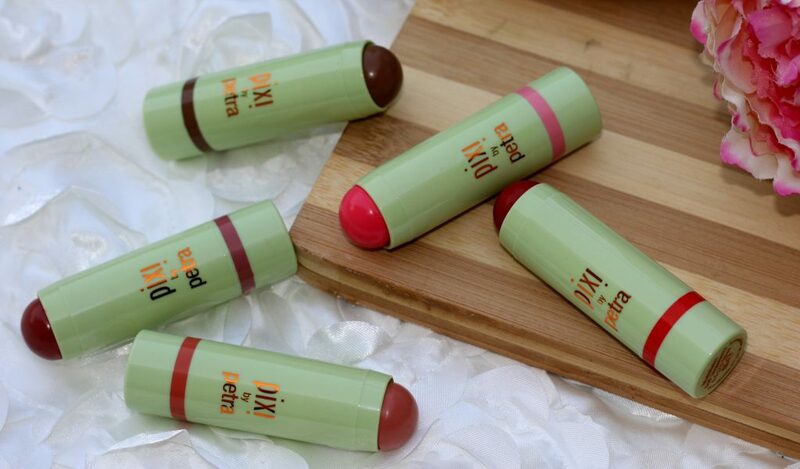 For the lips, as the balm is very large, I like to apply directly to center of lips and smooth in with my fingers. 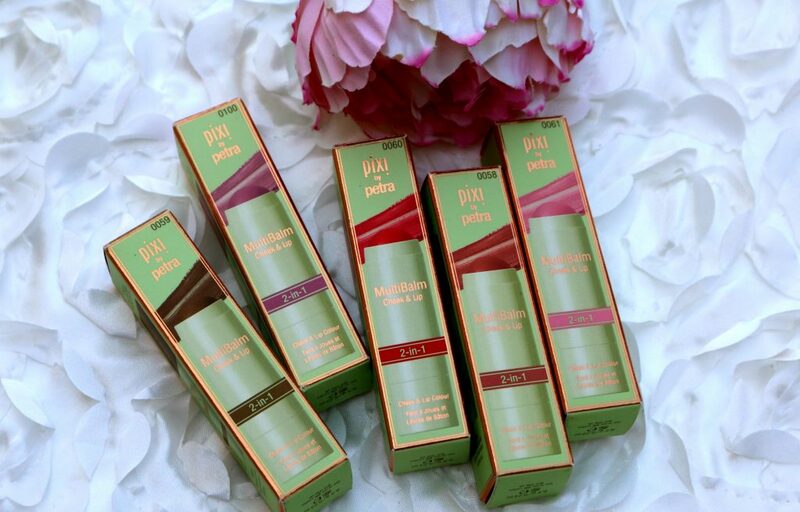 Shade, Formula, Finish, Pigmentation – These 2-in-1 creme- balm formula are creamy, smooth, and easy to apply and blend. You may use a sponge, stippling brush or your fingers to apply it or as easy as applying the color directly on the area and then blending with fingers itself…How easy is that ? Pigmentation is medium, buildable. Such a smooth and soft formula. 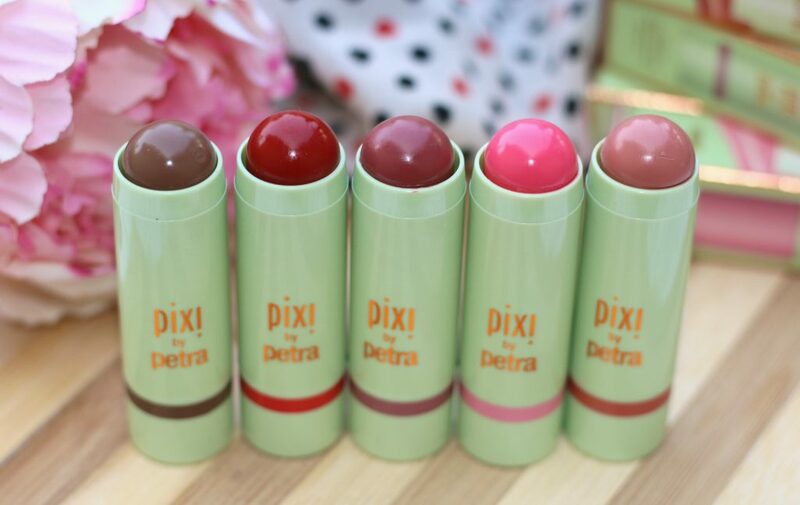 They wear nicely on the lips, without feeling dry, and they apply to cheeks without tugging. 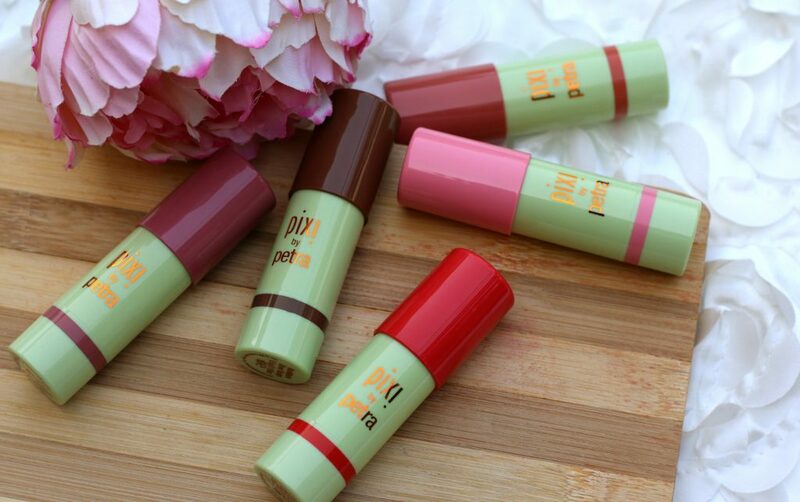 They wear all day on the cheeks without fading (and about 3-4 hours on the lips). They set with a powdery matte finish that doesn’t make you feel like it was a creme product at first place. Not at all streaky. it feels light weight too. meaning, for an added shine on your lips- You may use this plus a gloss etc. On Cheeks- After applying this, You may set using a similar color powder blush. The twist up stick makes it easier to apply. Longevity – They are perfect for that ‘no makeup- makeup look’ ; Especially, on such days where you want to keep the face bare minimal. These can be used to achieve that ‘lil color to your complexion. I have used these on both my cheeks and lips. 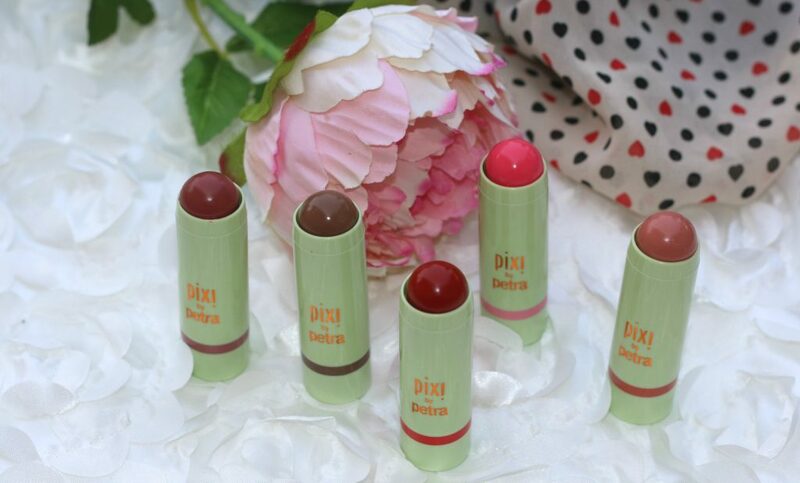 The lighter shade Baby Petal weren’t that flattering on lips, appeared a little streaky on lips. but deeper shades especially, Wild Rose and Soft Strawberry – gives a rich opaque color. The bronzer stick – Sheer Sculpt – worked well for contouring, I love it. Use it a lot these days. Wear time is different on how you use it. On cheeks, With a light swipe of dusting powder on top, the colors seemed to stay on cheeks without much fading for about 6-7 hours. On lips, The wear time was 2-3 hours. Especially, if you are like me who rub the lips together or lick your lips etc. Also, color fades off without leaving any tint after a meals or juice etc. 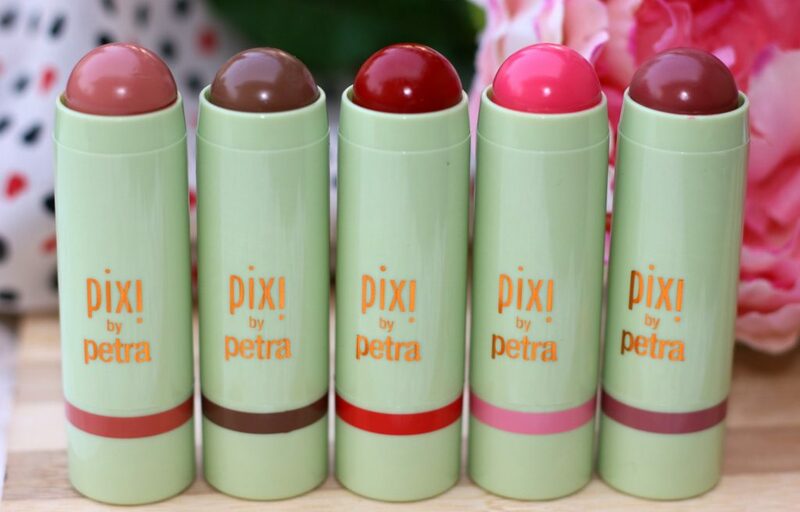 Overall, PIXI Multibalms are great multi-use twist up sticks that double up as lip/cheek product; infused the formula with Aloe Vera, Shea Butter, and Rose Hip Oil to nourish and protect the skin, On lips, they dry to a matte finish, non-drying. ‘Shea Butter Magic’ . On Cheeks they set to a powdery matte finish. The texture is very lightweight and they are easily blendable for a natural look. I wish they had more colors in this range. My favorite shades are Wild Rose & Sheer Sculpt. 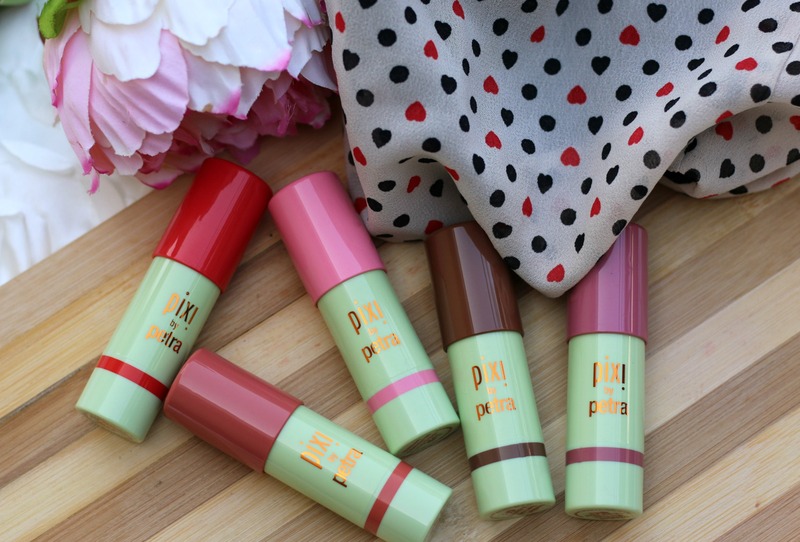 Have you tried Pixi Beauty MultiBalms ? Which is your favorite multi-use product of the same genre ?